MSD’s Oncology division is dedicated to delivering breakthrough innovations that extend and improve the lives of cancer patients worldwide. Our team of dauntless, forward-thinking individuals achieves this through an unwavering commitment to supporting accessibility to medicine, providing new therapeutic procedures, and collaborating with governments and payers to ensure that people who need medicines have access to them. At MSD, our focus is on innovation and launch execution excellence; we translate breakthrough science into innovative medicines that help people with cancer across the globe. The role will provide administrative support to ensure efficient operation of the Oncology and Market Access divisions. Provides support to the relevant directors, managers and sales representatives by performing various tasks related to the company requirements, ensuring adherence to the policies in place. • Follow the process for generating Purchase Orders on ARIBA for vendors (promotional material, events, etc. ), communicating with vendors and securing Tax Invoices for services rendered.  with IT to facilitate preparation of relevant computer hard- and software.  with Finance to facilitate applications for appropriate company credit and fuel cards. o Order office supplies such as stationery, name badges, business cards, etc. • General administrative duties such as printing presentations, collating material to and from representatives/medical advisors, binding, laminating, etc. • Generate all PMR (Promotional Material Request) for distribution to the Oncology reps.
• Liaise with stores regarding the stock count and provide an update to BCM on promotional material close to expiry. • Set up weekly/monthly WebEx meetings with the teams. • Develop and maintain a filing system to ensure compliance with medical record keeping requirements. • Confirm receipt of goods and then GRV Orders. • Facilitate invoice submission to relevant person and follow up on payments. • Submit and reconcile expense reports on Expenseflo with the relevant and supporting documentation. o Bank Confirmation letter, BBEE documentation, tax documentation etc. • Hiperios check for affiliation with organisations, government, under debt counselling, etc. • Obtain approval from Global regarding the payment terms they vary from the prescribed payment terms once the above has been finalized,. • DDQ to be done for all doctors (level 2 & 3) for overseas trips and level 2 for local trips. o This should be done for sponsorships as well. • Medpages, DDQ, DPSS and PCPA to be submitted for ABC approval. • Provide and confirm quotes for the delegates (Airfare, accommodation) unless it is a country to country event. • Confirm and select the correct approvers based on the type of event and cost of event. 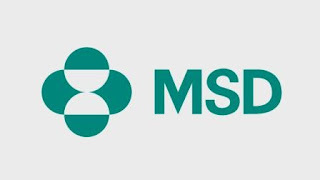 • Ensure that the meeting is closed with all the relevant supporting documentation and proof of attendance as well as the benefits of the sponsorship documented to MSD. • Thorough knowledge and understanding of policies and procedures within the pharmaceutical Commercial and Medical Affairs environment. • Good judgement and discretion.